As challenging as an actual course! Pick your own club and analyze the distance. Now, go for it! 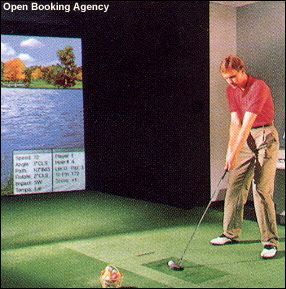 Hit a real golf ball toward the video screen and the "virtual ball" continues down the fairway! How's your swing? Corporate meeting and trade-show friendly.